Both the Steam Controller and various Steam Machines will soon be available for purchase, which means Valve is going to have to do some serious improvements to Steam’s Big Picture mode. Today, Valve is making a big overhaul to Big Picture mode’s UI which you can check out for yourself by opting into its beta. The new Big Picture features a new Library section which manages everything into simple categories. The first category users will land on is the “Resume & Explore” category, which allows you to quickly jump into your recently played games and explore games that are popular among your friends. Another interesting section is the “Start something new” section as it presents games within your library that you have yet to play. 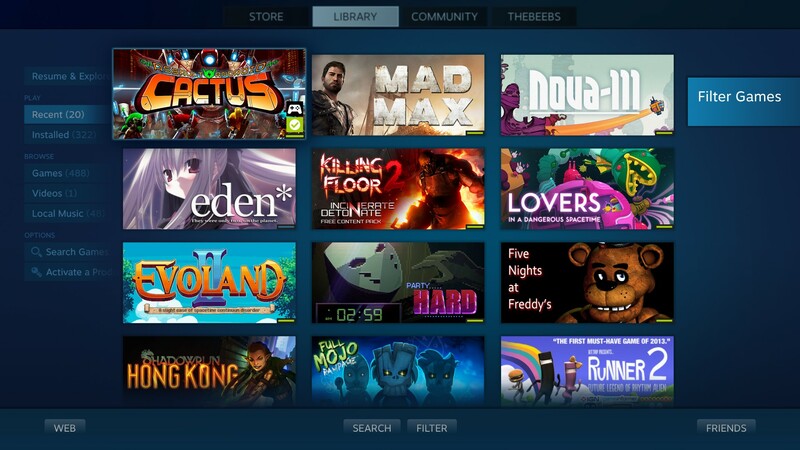 Considering how many games Steam users purchase but never play, this could be a great opportunity for Steam users to finally take a swing at their ever-expanding backlog. The new Big Picture mode will also allow you to activate a product on Steam in a much easier manner. The new categories will have the ability to activate a product right from the main Library screen, instead of having to dig through Big Picture’s options. Another category we're happy was improved was the "Recent" category. Prior to this update, the Recent category didn't organize your games the way it does in the standard version of Steam. Big Picture mode will now have your recently-played games actually show up in the order they were last played or downloadied. The new Big Picture mode is currently in beta, so expect to see a bug here and there if you decide to take a swing at it. 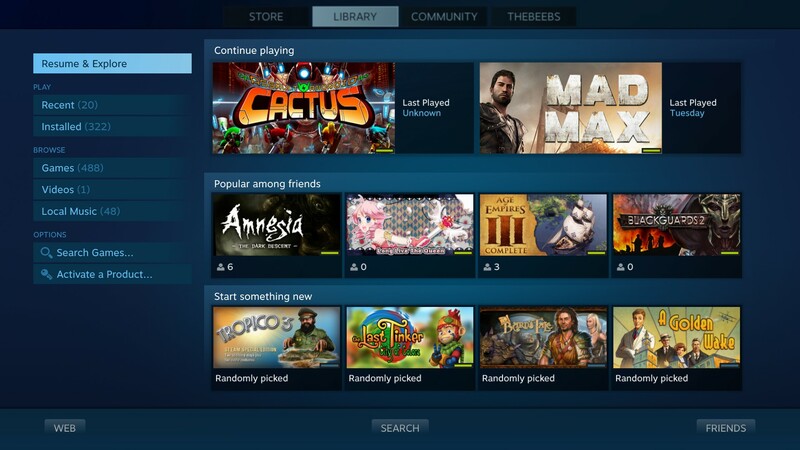 No word from Valve when it’s new Big Picture mode will be released to all users, although we wouldn’t be surprised if it was ready in time for the launch of the Steam Controller. Sounds like a solid update. TBH it's about time, Big Picture has needed some lovin for a while.